This is the web site of WDWCelebrations, L.L.C. We collect the email address, name, state, and country of those who subscribe to our newsletter. We collect the email address, name, and mailing address of those who register for our events. 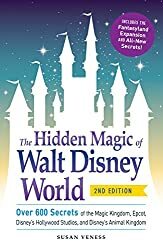 If you do not want to receive e-mail from us in the future, please let us know by sending us e-mail at the above address, or visiting us at http://www.wdwcelebrations.com/newsletter/newsletter-unsubscribe.html. Consumers can access this information by visiting us at http://www.WDWCelebrations.com/newsletter/?p=preferences. Consumers can have this information corrected by visiting us at http://www.WDWCelebrations.com/newsletter/?p=preferences.